On a Scale of 1-10 How Likely Are You To Text a Nurse? One of the biggest challenges recruiters and sourcers face in recruiting registered nurses is that nurses are very hard to get a hold of. Most nurses do not work at a desk and lack access to a personal email account and work phone while on duty. Furthermore, nurses work twelve-hour shifts and are not available during this time period. 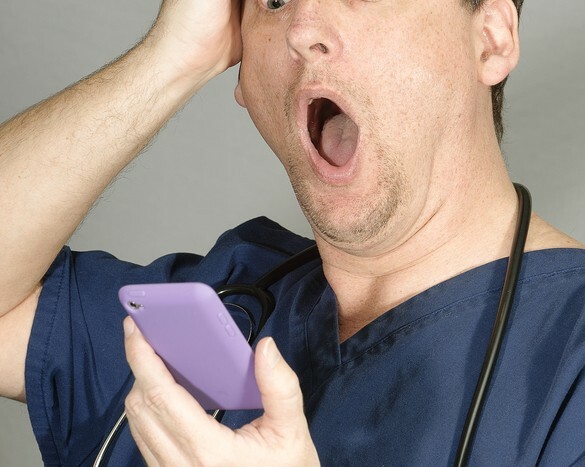 One piece of technology that most nurses always have on hand is a mobile device. Through a combination of texting registered nurses, having mobile-friendly job postings, and creating a mobile friendly application process; you will increase your registered nurse hires. The simplest solution to contacting nurses, who cannot be reached, is to text them a text friendly job description. You will have a higher rate of return on reaching nurses through text than through email. As most nurses have a mobile device on them, there is a higher likelihood that they will receive a text before a voice message or email. A tip for texting is to use either a text-based app or a CRM that allows for texting. A huge time advantage of using a CRM or texting app is the ability to text many RNs at one time. Either method should include opt-out language, as to not anger nurses who do not want to be texted. Having trouble getting in contact with your nurse hiring manager in order to get feedback on candidates? It is recommended to text the nurse manager. As most nurse managers, likes nurses, are frequently away from a desk, texting will result in faster feedback than traditional phone calls and emails. Connecting with nurse managers right away is critical in recruiting nurses. With the low supply of RNs in the market, connecting with managers one day earlier can result in extra hires. As mobile devices are the easiest form of communication with RNs; it is critical that job postings be mobile optimized. According to Becky Lubitz of CareerBuilder, 70% of RNs use mobile phones as their primary device for job searches. With that percentage being so high; it is essential that your RN job postings be 100% mobile-friendly. It is one thing to attract a nurse with a mobile-friendly job posting, but this interest could easily wane if the job application process is not mobile-optimized. As RNs’ primary communication tools are their mobile devices; it is absolutely essential that your application process be mobile-optimized. An interesting technique for finding RN candidates’ Facebook profiles is to use their mobile number. If RNs have registered their mobile number on Facebook and have low security settings, their profiles can be found on Facebook. The technique is simple enough–merely login to your Facebook account and type their cell phone number and their Facebook profile will pop up.